THE Chequers is a fine old country pub in the lovely village of Eversley Cross. 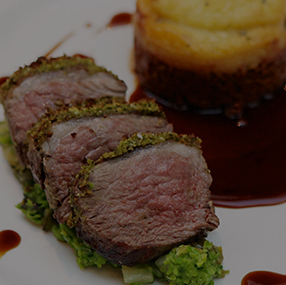 We serve top quality fresh food, well-kept ales, great wine and a range of grand gin & tonics. The Chequers is in the middle of the pretty village of Eversley Cross, a long six from the second oldest cricket ground in the world. Set back from the main Reading Road (B3272) we are easy to spot. Just look for the ancient oak tree and our hanging sign on the Green. 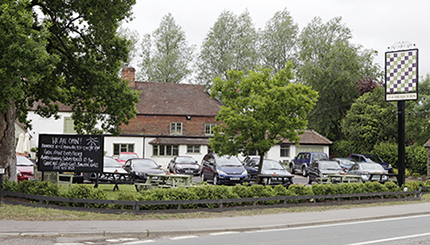 Our Eversley Cross restaurant has ample car parking both in front of the pub and to the rear. Only 5 minutes away from Wellington Country Park & Wellington College, The Chequers is situated on the edge of the Blackwater Valley and is an ideal stop over for visiting a host of National Trust properties or exploring the Valley countryside.